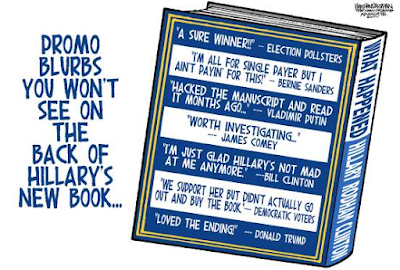 ...Hillary Clinton has never been able to conceal her contempt for her enemies, real and imagined. It’s one reason she’s never been a successful politician. Where others are supple, she is taut. Hillary is a prolific liar, but, unlike Bill, she is graceless and transparent as she spins her tall tales. She is also probably the nastiest political figure in America since Nixon. 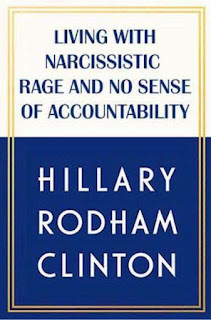 Yet she lacked Nixon’s Machiavellian genius for political manipulation. Hillary wears her menace on her face. She could never hide her aspiration for power; her desire to become a war criminal in the ranks of her mentor Henry Kissinger (symbolized by the laurels of a Nobel Peace Prize, naturally). 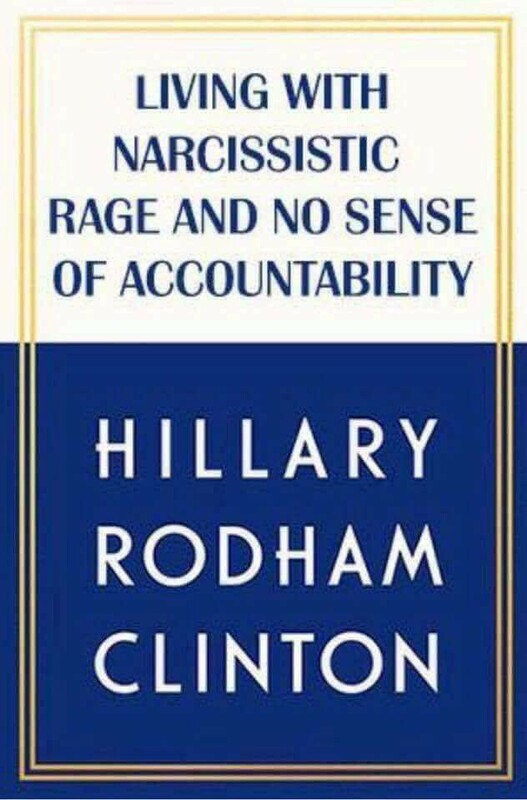 While many on the left argue over the content of Clinton's narcissistic rantings, those who wish to inflict harm on us all have an open playing field to do so. The Graham-Cassidy Bill to repeal the A.C.A. didn't come about until this past week. Great timing. They coordinated their assaults on our sensibilities well, didn't they? Who are "they"? The establishment "parties" of course. 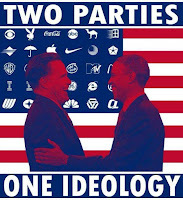 (Or are they really just one party? This video from Info Ghion argues they are one in the same.) 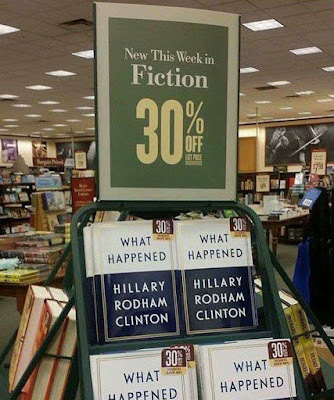 The Democrats did their part to distract us by having Clinton's whiny memoir released just at the last moment when the Republicans have the best chance of repealing Obamacare, since after September 30 it will take 60 senators to repeal it rather than just a simple majority. 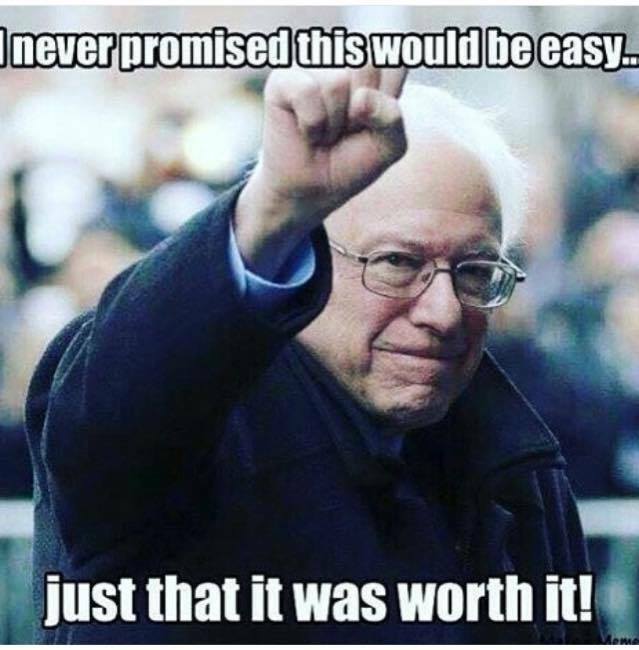 While progressives are distracted by Clinton's baseless attacks on Bernie Sanders, Jill Stein, the Green Party and others, the corporate cash from Big Pharma and the Insurance Lobby will keep flowing into Congress while some wannabe Dem presidential hopefuls give lip service to Bernie's Medicare for All Act for added distraction. At the end of the day, the corporate Democrats and Republicans will get to keep their ill-gotten gains, and the chances of single payer, universal health care will evaporate once again in the hub-bub of dealing with Graham-Cassidy and Clinton's baldfaced lies. Mission accomplished. The establishment thinks they got us trained well. 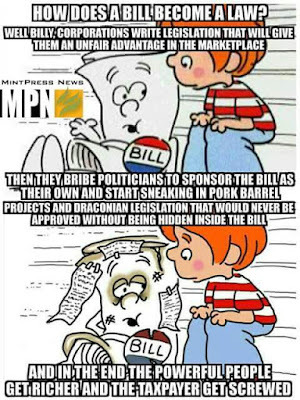 They want us to think they're not influenced by taking the lobbyists' money, but a recent study shows that politicians are very much influenced by taking corporate cash. We've been trained to settle for the "lesser of two evils" for so long that we never noticed we have a third option staring us in the face. This third option is simply not to play their game. We stop falling for their distractions and manipulations. The Dems want to browbeat progressives into submission by calling our leaders names and smearing us? We ignore them. 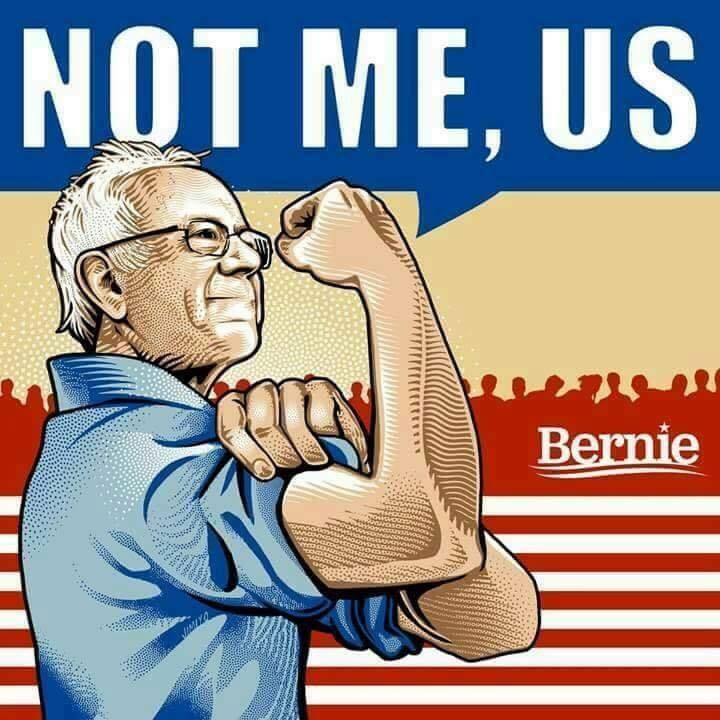 Better yet, we throw our support full-time toward other progressive candidates/groups such as Green Party candidates running for federal, state and local offices and the Democratic Socialists of America. The Republicans want to get away with killing millions of Americans by taking away their access to health care? We expose them. We continue to call them out and label them as the mass murderers they are for even thinking of doing something so heinous. We don't reward their sociopathic and immoral behaviors by letting them off the hook. We keep shining the light on their manipulations until they're forced back into their dark caves. After all, if Clinton truly was a progressive she would be using her energies to work hard for Medicare for All and other progressive issues rather than wasting our time with her self-centered, self-deluded distractions, right? We know what's happening, Hillary. We won't let you (and your corporate-owned establishment buddies on both sides of the aisle) pull the wool over our eyes again. 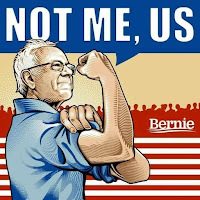 BIO: Still Bernin' has had enough of the doublespeak of the establishment and won't stop pointing out how there's no such thing as a "lesser evil." There are just bad and good things in the world, right? Choose the greater good and reject the lesser evil! 15 Florida progressive groups with deep ties to local communities came together to form the Hurricane Irma Community Recovery Fund. Can you make a tax-deductible $3 donation now to help victims in a way true to our progressive values? These leading Florida progressive organizations have formed the Hurricane Irma Community Recovery Fund. 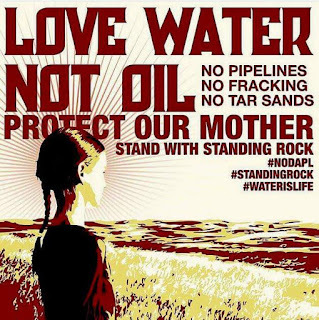 We need to protect our communities from toxic pollution! Tell your members of Congress to stand up for EPA funding. Three weeks. Three climate change-fueled super storms. Our nation and the Caribbean are reeling from Hurricanes Harvey, Irma, and Maria — which made landfall in Puerto Rico. The kicker? The Trump administration is now pushing for cuts to the Environmental Protection Agency — including shutting down an EPA lab in Houston!2 That’s why we’re joining with the organization Green for All in calling on Congress to stop these cuts. Tell Congress: we need the EPA more than ever. Please don’t cut funds to protect our communities. I can’t stress enough how much we need EPA protections and services right now. Harvey’s rains and winds forced the state of Texas to close down dozens of air pollution monitors, so there was no way to independently verify the level of pollutants that companies reported to release. 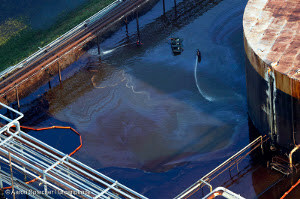 After the storm, local air quality monitoring by Air Alliance Houston and the Environmental Defense Fund proved that a Valero oil refinery downplayed how much cancer-causing benzene was leaked into the air.3 We can’t let fossil fuel companies get away with this. And it’s not just about big climate-change fueled disasters. Communities living next to petrochemical facilities — often working class and people of color — have fought for decades against the pollution they live with everyday. 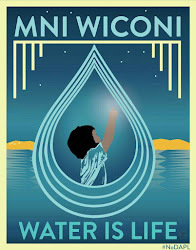 Agencies like the EPA are needed to protect our air and drinking water all the time. Please tell your members of Congress TODAY that we need the EPA more than ever. We will personally deliver your name to Congress next week. Thank you for taking the time to contact your members of Congress and stand up for your community. P.S. Now is not the time to cut funds protecting our communities from pollution! Tell your member of Congress to protect the EPA’s funding. The State of Georgia is once again targeting people for helping Black voters exercise their freedom to vote. Secretary of State Brian Kemp recommended that Attorney General Christopher Carr charge fourteen canvassers with a felony facing up to ten years in prison and a one-hundred thousand dollar fine, for incorrect voter registration forms.1 There were just 53 allegedly false voter registration applications out of the more than 86,000 submitted by the New Georgia Project that year -- just 0.06% errors. It is clear that Brian Kemp is using his office to score political points in his quest to become the next Governor of Georgia and attacking his potential opponent, Democratic gubernatorial candidate, and House Minority Leader Stacey Abrams, who founded the New Georgia Project and launched its voter registration efforts in 2014, in the process. This recommendation of charges represents a returning national trend of using the criminal justice system to intimidate Black voters from exercising our political voice and registering to vote. Attorney General Carr is up for election in 2018 and he needs to know that we’ll be watching if he uses his office to prosecute people working to help Black voters get to the polls. Tell the State of Georgia: Enough is enough. Protect the freedom to vote. Do not charge the canvassers for helping our communities vote! The New Georgia Project registered 86,000 new voters in 2014 alone. The reason the New Georgia Project has been targeted by Brian Kemp since its inception is because they are expanding the electorate increasing the number of Black voters, young voters and voters from other communities of colors in Georgia.2 Kemp is attacking these canvassers for taking on a role his office intentionally fails to do: register new voters. If Kemp’s office were actually interested in expanding the electorate and ensuring Black people, young people and communities of color were registered to vote, there would be no need for the New Georgia Project to run complicated and labor intensive voter registration drives for tens of thousands of new voters each year. Brian Kemp and Republican support for the Pence-Kobach Commission, voter ID laws, racially biased gerrymandering and the proposal to reduce polling places in Black communities all point to a concerted effort to reduce our electoral power.3 We have seen the results of this national effort in the election of Donald Trump and House Republicans holding a majority despite receiving fewer votes during the election. We must now demand that the State of Georgia honor our freedom to vote and reject Brian Kemp's recommendation to prosecute canvassers for expanding access to the ballot. The decision to move forward with charges is now in the hands of Attorney General Christopher Carr. We are calling on Attorney General Carr not to use the courts to suppress our votes and decline to pursue any charges against these canvassers. We must make him know that we will no longer allow our freedom to vote to remain under attack. Will you sign the petition? Attorney General Carr: Voting is not a crime! Don't press charges against voter registration canvassers. The fight for our access to the ballot has been fought since Reconstruction. We have won the fight to outlaw literacy tests and poll taxes but we still have to fight against the use of the law to keep us away from the ballot. Olivia Pearson, a grandmother and Douglas County Commissioner is scheduled to stand trial in Georgia soon for assisting Black voters.4 In Indiana, Mike Pence’s home state, canvassers are facing similar charges after State Police raided their headquarters this past fall. Republicans are using prosecution rather than persuasion as their primary tool to win elections. We have an opportunity to stop the criminalization of Black voting today! We can demand that Attorney General Carr not go along with this plot to target Black voters. We must make our voices heard now to protect our electoral power. Folks who are working to make sure we all have the power to exercise our freedom to vote should be protected. Attorney General Carr must not bring charges against these canvassers. Sign the petition: no criminal charges for helping people vote! If enough of us join the call for a global arms embargo we can make other governments -- and even the UN -- follow suit. Please, will you take action now and join the call for a global arms embargo now? The Myanmar military and militia groups are deliberately and systematically targeting the Rohingya Muslim population -- attempting to kill, injure, and remove an entire population. Our governments all around the world are responsible for letting this mass murder and forced displacement happen. Earlier this year Myanmar’s military chief Min Aung Hlaing visited Germany and Austria on an arm's shopping trip. Israeli companies are arming the military and one of them is even training forces in Rakhine state, where much of the violence is taking place. The Israeli company TAR Ideal Concept have even posted pictures on their website of its staff teaching combat tactics and how to handle weapons. This is all in spite of EU sanctions on Myanmar. The UK has just announced its decision to stop training and co-operating with the Myanmar military. Now we need to keep the momentum going, double down and put pressure on all our governments to enact a fully functioning global arms embargo on Myanmar. The oppression of Rohingya Muslims at the hands of the Myanmar military has a long history. This most recent campaign of ethnic cleansing has brought it to the international media’s attention. Now we know what is happening, it’s time we moved to action. Rohingya activists and campaigners around the world have been working tirelessly to draw the world’s attention as the Myanmar military try to wipe out the Rohingya population. Right now -- they need as many of us as possible to stand with them. Evil acts can only flourish when enough of us turn away. 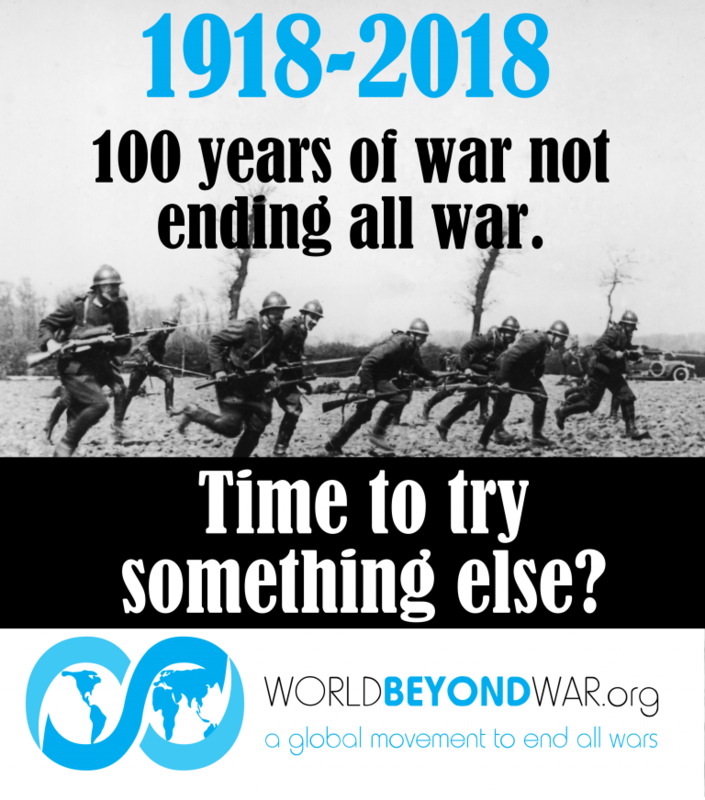 Please, take action now and join the call for a global arms embargo. We haven't posted any C.R.A.P. 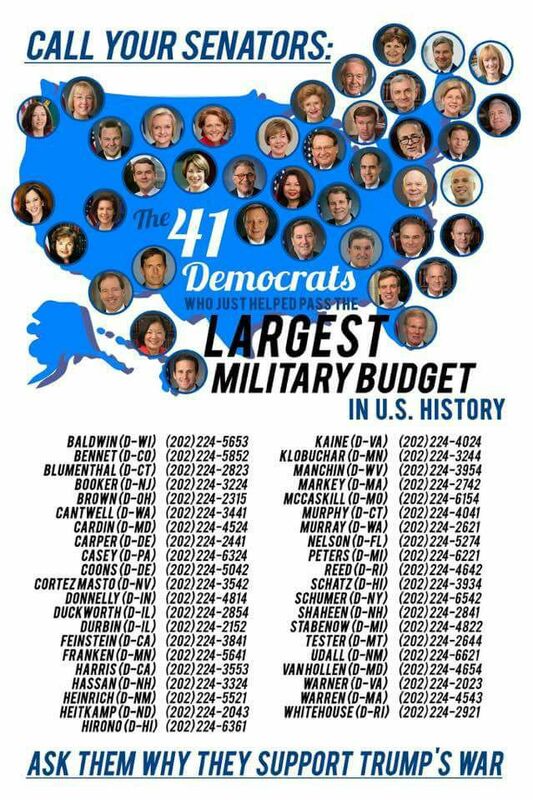 Award recipients recently, but these 41 Democratic senators certainly should be "chatised rich arrogant politicians" for voting for endless war. Let them know today via phone/email/snail mail or office visit what you think of their actions. Can We Be A Real Democracy? Got something you'd like to say about a progressive topic, cause, organization, or personality? Email us here at the blog (thebernieblog2016@gmail.com) and let us know. This blog is for progressives and written by progressives and that includes you. And keep sharing the link with others. Thank you! It's been a tumultuous couple of weeks. Between back-to-back climate-change-charged natural disasters, political shenanigans and racist commentary from the current administration and another killer cop found not guilty, to the introduction of the Medicare for All Act in the Senate and the compromise on DACA, there hasn't been any let up. Americans are sitting up, taking notice and taking action. 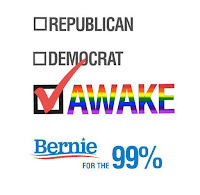 More and more are becoming awake, aware and involved in the political process. Our confidence is growing, so much so that even some in the mainstream media are speaking out against injustices and risking their lucrative positions. ESPN host Jemele Hill (see piece below) called Trump a white supremacist, bringing down the condemnation of the administration and her sycophantic bosses. Football star Colin Kaepernick continues his activism for Black Lives Matter, which has blossomed into an all-out boycott of the NFL by many viewers this season and his being named the "MVP of Week 1" by the players' union for his charitable work. The big money types think we're out of the game, and yet we keep on swinging. One day we'll hit a home run and knock them out of the park. So, isn't it about time? Isn't it about time We the People stopped and seriously considered what Dr. Jill Stein has said repeatedly, "We are the change we've been looking for"? Could it be Americans have finally decided they want change? 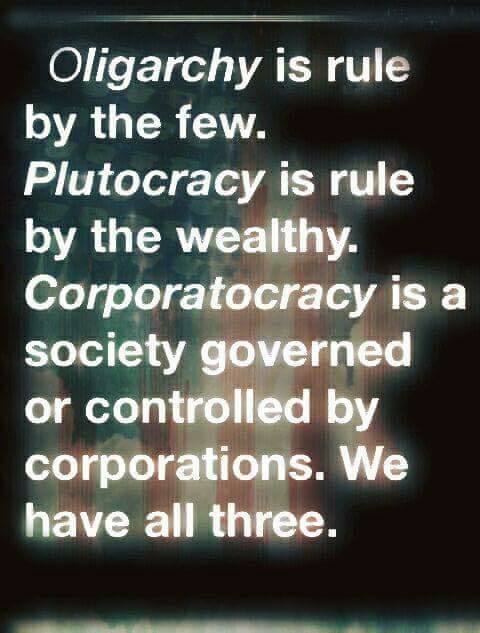 We want to change this oligarchy into a democracy after all? Many are fighting to end gerrymandering and abolish the Electoral College so we can have truly fair elections. The Move to Amend organization is fighting for an amendment to end Citizens United and make our elections publicly funded, putting an end to billionaires buying politicians. Millions have marched, protested and rallied for universal health care--and look at the progress we've made so far. The imperfect A.C.A. is still operational, helping millions to have health care coverage, and who knows what will happen next? We might go hoarse, but our millions of voices might just be enough to shout the Medicare for All Act into law. 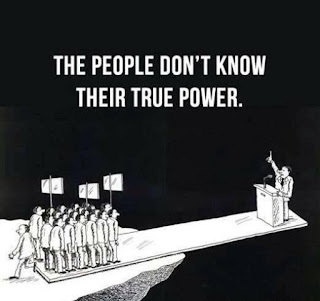 We the People have power. We have powers we've never dreamed of. We're not afraid to tell the folks in Washington DC, "We're mad as hell and we're not going to take it anymore!" We should use our powers--we must use them--because the future of our planet depends upon it. Denying climate change exists didn't stop the hurricanes from barreling into our country, and it won't help end the raging wildfires in the West. 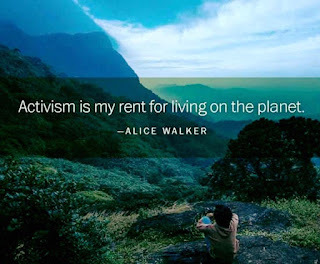 Only by becoming awake, aware and involved can we hope to utilize the knowledge and skills of our people to solve the climate crises we are already in the middle of. We don't have time to waste arguing with the flat-earthers in the pockets of Big Oil. We must end the influence of Exxon, which knowingly kept their own research on climate change secret for the past 40 years. I'd like to think that we're finally discovering we can be a real democracy. 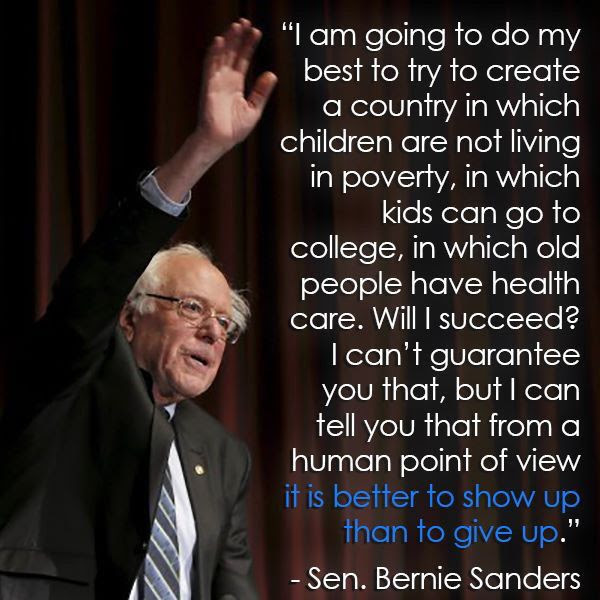 We can have a voice in our government. 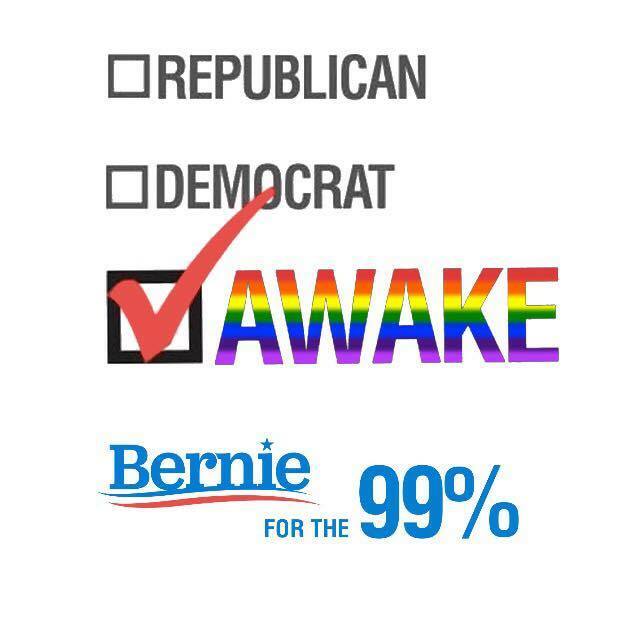 We can change things for the better for the 99%. Stay awake. Stay active. Don't give up. Have courage. Our country's founders would be proud of what all we've accomplished in the face of overwhelming odds. We should take comfort in knowing history will be on our side. 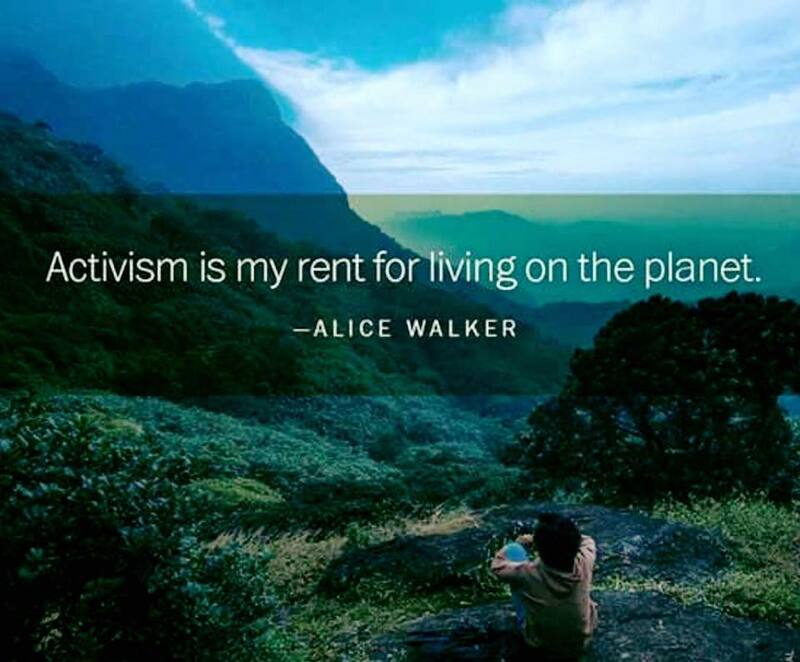 There are many great progressive organizations that need your help to amplify their message through your social media platforms, your time volunteering to further their cause, and your financial gifts. Here are a few. The promotion of human health is among the most important single indicators of a just society. The availability and affordability of comprehensive health care to every person, regardless of income or other factors, is defined by many nations as a basic human right. Recent polls indicate Americans feel health care is one of the nation’s biggest problems. The U.S. spends the most per person on health care than any other nation, has the worst health care system among high-income nations, and has overall poor population health. Nearly 26 million Americans remain uninsured. 1. Framing health care as a commodity, not as a right. The business model of so-called “health care” corporations is to minimize coverage and treatment, while maximizing premiums, deductibles and co-pays – all of which maximize profits. Despite the rhetoric, insurance agents, not doctors or patients, increasingly determine basic health care decisions. 2. Investments in lobbying and political campaigns to gain political influence. The so-called “health care” sector was #1 in political spending in 2016. 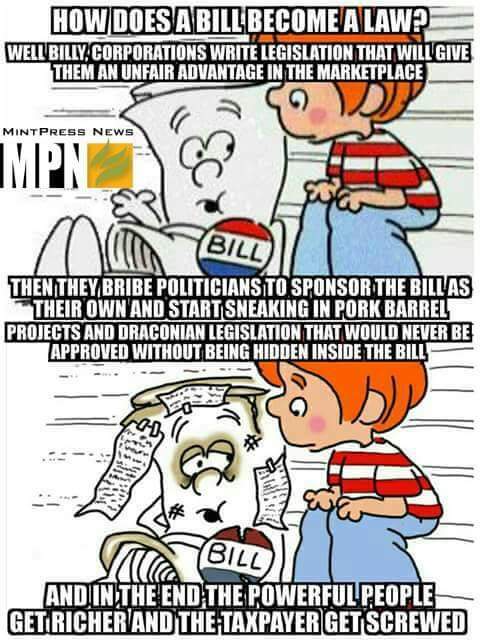 More than $500 million was raised to hire 2,700 lobbyists to influence legislation. Health Care Political Action Committees (PACs) invested $55.7 million in federal candidate campaigns (60% to Republicans, 40% to Democrats) in 2016. An additional $53.8 million in “outside” political spending (e.g. largely for advertising) was invested, led by health care-related insurance corporations ($19 million) and pharmaceuticals/health products ($15.8 million). 1st Amendment religious rights. In Burwell v. Hobby Lobby, the Supreme Court prohibited requiring closely held, for-profit secular corporations to provide contraceptive coverage as part of their health insurance plans if it violated the corporation’s 1st Amendment “religious rights and beliefs.” To extend and pretend that private, personal religious rights apply to business corporations is a breach of a constitutional firewall with potential widespread discriminatory implications. 4th Amendment search and seizure rights. Tens of thousands of deaths annually are attributed to occupational disease while several million people report work-related injuries and tens of thousands of work place fatalities. Corporate 4th Amendment search and seizure rights, affirmed in cases like Marshall v. Barlow, prevent government inspectors from visiting corporate property to investigate health and safety violations, and threaten worker health and safety. 14th Amendment due process rights. From 1905 until the mid-1930s the Supreme Court invalidated approximately 200 regulations protecting the health and safety of workers, consumers and children in order to affirm corporate "rights" under the due process clause of the 14th Amendment. Healthy individuals and a healthy democracy are inextricable connected. Ending corporate constitutional rights is the ultimate cure to our critically ill health care system and democracy. We need to join together to build and sustain a powerful and authentically diverse democracy movement that will guarantee just and peaceful laws – including a universal, affordable, accessible and comprehensive health care system for every person. We're hopeful about the new "Medicare for All" bill in the Senate, but the reality is that until we address the legal mechanisms corporations are able to use to dominate our government, it is unfortunately unlikely that we will see changes to healthcare policy that benefit We the People instead of the corporate bottom line. At Move to Amend we'll continue to do all we can to support Medicare for All -- but we also won't let up on the systemic struggle to get corporations out of power in politics. Please help us! Call your House Representative and Senators Right Now! 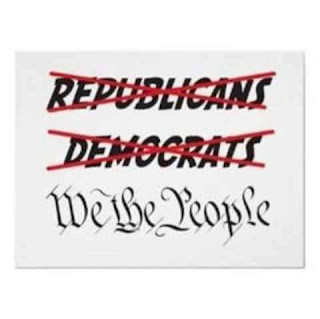 ➤➤ Let your Representative know you want them to co-sponsor House Joint Resolution 48 (the We the People Amendment)! ➤➤ Let Your Senator know you want them to introduce a companion bill to House Joint Resolution 48 in the Senate. P.S. Wouldn't it be great if all the Senators who are standing up for healthcare for all Americans were also standing up against corporate personhood? So far we have been unable to get the We the People Amendment introduced in the Senate. That's unacceptable! Call your Senator today and tell them to get onboard with the SYSTEMIC SOLUTION to corporate rule! Single Payer is not government control of health care and a single payer system would result in less government control than we currently have in the Affordable Care Act. It supports entrepreneurship by removing the burden of increasingly expensive employee benefit programs and frees up business resources to concentrate on providing a quality product or service. Controls costs by encouraging competition and allowing a free exchange between the consumer (i.e. patients) and the service providers (i.e. doctors and hospitals) with universal access and availability especially at the mostly small business primary care level. Frees up resources currently duplicated on redundant systems like Worker's Compensation or medical liability written into auto, home, and business insurances. It provides support to the middle class in a time of anxiety. Globalization has thus far tended to enrich the rich and squeeze the middle, not only in the United States, but in almost every developed country. Health security puts a floor under the middle class without radical change to the rest of the economic system. Allows and encourages consumers to assume personal responsibility for their own health, with completely open access to preventive and primary services including medical screening, health education, mental health and long term care services, dental and vision, and more. Reduces medical malpractice and "defensive medicine" by removing the incentive of consumers to sue the providers in an attempt to recover personal losses in the form of medical bills. Restores the doctor/patient relationship by putting medical decisions in their hands rather than in the hands of insurance companies which seek to deny or limit healthcare. All industrialized nations except the United States have some form of universal health care, which puts US businesses at a competitive disadvantage. Single Payer would level the global playing field for business. 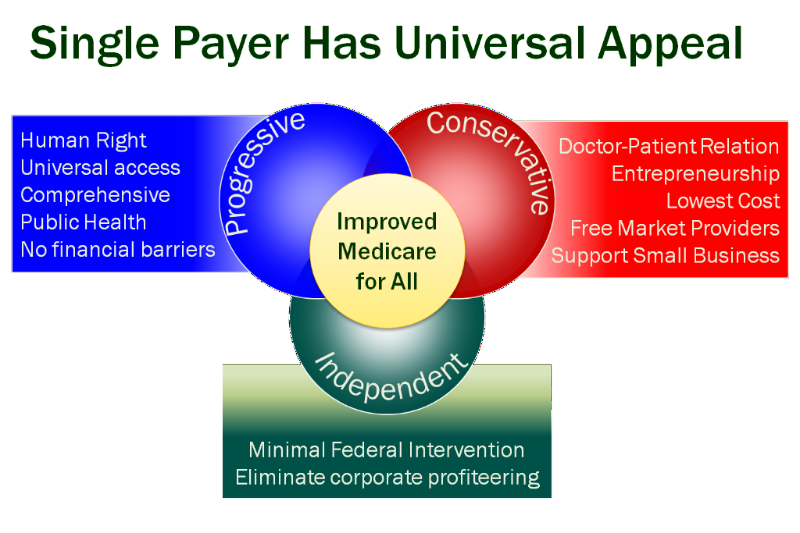 * Friedman, Gerald, PHD, July 31, 2013; Funding HR 676, the Expanded and Improved Medicare for All Act: How we can afford a national single payer health plan. ** Analysis done from school reports and reports from county auditors on health care costs by SPAN Ohio. You can also participate in this action by Healthcare-NOW! The 31 Senate Democrats who haven't yet signed onto Sanders's Medicare for All bill are already feeling the heat - but it's time to turn it up even more. Healthcare-NOW teamed up with some big national organizations like Daily Kos, Public Citizen, People Demanding Action, Center for Popular Democracy, and many others and launched an online petition to ALL our Senators with a message they will be hearing loud and clear over the next months: Cosponsor the Medicare for All Act! Sign the petition demanding your Senators sign onto the Medicare for All Act! This is the moment we're in: "Medicare for All" is trending on Facebook. Establishment superstars like Kamala Harris and Cory Booker falling over themselves to rally for single payer. A third of Senate Democrats have put their name on a bill that would establish a single payer system in the U.S. with no copays, deductibles for all care including dental, vision, and mental healthcare. THIS is the moment to act! Sign & Share the petition to All our Senators Demanding Medicare for All! The petition is only one prong of a pressure campaign that we'll be leading over the next couple months; we'll also be calling, organizing district visits, holding public hearings on single payer, and doing in-person signature gathering for the petition. Let's kick it off strong! What Hill said wasn’t a partisan statement, it is an inescapable truth that has been acknowledged and written about extensively by countless other journalists. Trump is a man that pals around with avowed White Nationalists, even employing them in the White House. A man who outright refuses to condemn the actions of neo-nazis in Charlottesville and has retweeted graphics from White nationalists accounts. A man whose real estate company was sued multiple times by the Department of Justice for refusing to rent to Black people. ESPN has shown that above all else that they desperately want to "stick to sports" and keep hard truths out of sight. But this is naive. Politics have always been in sports: from Jesse Owens to Jackie Robinson to John Carlos and Tommie Smith to the US and Soviet boycotts of the Olympics. This has been particularly true about race because sports in this country disproportionately rely on the labor of young black men. Labor that often leaves them disfigured, in chronic pain, or with life altering brain injuries. ESPN’s efforts to silence Jemele Hill for making a political statement are also extremely hypocritical. This year, they re-hired Hank Williams, Jr., to sing their Monday Night Football theme song.3 Williams’ return comes six years after ESPN fired him from the job for comparing President Obama to Adolf Hitler.4 Williams has also written songs like “If the South woulda won,” glorifying the Confederacy and waxing poetic about a return to lynchings. How is it possible that a man like Hank Williams Jr, who sings about “taking back Miami” from immigrants, is not politically problematic, but a Black woman pointing out clear and present white supremacy is? But this not a time for craven attempts to “stick to sports” or be "neutral" because "unity" doesn't work when one group is denying another's right to exist. The need for Black voices in journalism that take on racism and openly talk about it is more urgent than ever. -- Brandi, Rashad, Arisha, Evan, Jade, Anika, Corina, the rest of the Color Of Change team. Right before Hurricane Irma slammed into Florida, and while Texas was still assessing the damage from Harvey, EPA chief Scott Pruitt used his national stage to deny climate change yet again. He said it’s "insensitive" to talk about climate during a hurricane! I disagree, and I won’t sit back and make Pruitt’s fossil fuel industry backers happy. I owe it to my friends and family in Puerto Rico and Florida — who are busy rebuilding — to seize this moment and call out the fossil fuel industry in the strongest way possible: demanding it pays for climate-induced destruction. Join me in calling for justice. Demand that fossil fuel companies pay for a swift and equitable hurricane recovery. And demand that recovery effort puts the most impacted communities first and paves the way for a just transition to 100% renewable energy. The first step is adding your name to thousands of others. Over the next weeks and months we’ll organize the resistance in Florida and across the nation to shift the national debate from merely talking about climate change and stronger storms to holding polluters accountable. Now is the time for big, bold voices like yours. Demand the fossil fuel industry pay for hurricane destruction instead of making the next storm worse! P.S. Fossil fuel-fueled climate change made Harvey and Irma stronger. While the nation talks about climate and extreme weather we need to go big. Demand fossil fuel companies pay for hurricane destruction!